Why Marathi ? Simply because Mumbai city comes under Maharashtra state which since decades been major ruled by the great Maratha warriors like Shivaji Maharaj, Bajirao etc after Portuguese and Britishers left or say been thrown out. Major cities within the state has Maharashtrian community people speaking Marathi as core language, Although many variants of same can be heard when visiting locations and villages like when in Malvan (Near Goa) its Malvani, and When around Konkan its Konkani, which sounds quite similar but are little different accent. East Indians (Particularly Catholics) were among very few who are based in Mumbai and had their homes since when Mumbai was Called ‘Bombay’, the 7 island city. One may find many words and common things in the language spoken by them, Of course a little common flavour of Mumbai. Various small communities from Thane, Konkan and Kolhapur locations in Maharashtra known as Koli, Agri, Wadvals, Bramins commonly speak same Marathi language with their own community flavour and accent and so is the dominance of Marathi as official language in financial capital city of India. But Mumbai is not limited to Just Marathi and Hindi as the only spoken languages, Due to the Globalization, Technology Boom, Educational and Commercial growth of city, English is also a very commonly spoken language here. Any other person interacts in similar way greeting and saying ‘Excuse Me’ when asking for the required information he needs. So a foreign national who knows English can easily communicate, commute, shop around at busy streets of multilingual city Mumbai. Exceptions are few vendors who are not educated and from very poor family running businesses at small street sides, mainly hawkers kind who don’t understand English well and have to interact in Hindi or Marathi language. Gujarati in one such language here which can be commonly heard spoken by Gujarati community people when interacting with vendors, shops and other at residential locations at stations like Borivali, Kandivali, Vile Parle in western suburb and Mulund and Ghatkopar in Central Mumbai, and Also in South Mumbai’s old famous market locations. This is one of those communities who rules the age old wholesale and other markets as businessman’s of city. Very common commercial locations to find people interacting in Gujarati commonly are Kalbadevi, Manish Market, Zaveri Bazaar, Girgaum (All almost connected) which are age old commercial locations with nearest station being Grant Road, Charni Road and Marine Lines next to Churchgate. See Mumbai Station Names for easy Reference. Th booming Information Technology in 2000 year around has made a major change in commercial queen city like Mumbai, Yes their is huge Money in here which attracts many professionals from around globe and states of India. After the common languages we talked about in above para’s comes the other regional languages like Bengali, Tamil, Telugu, Malayalam, Kannada, Urdu, Punjabi, Odia and North Indian languages basically sounding like Hindi, But actually not and as locals call it as (UP Bhaiyya or Bihari Language) or from Delhi a little different style and accent visible when they name few vegetables and eateries (Like in Mumbai we call ‘Pani Puri’ & Delhiites call it ‘Gol Gappe’). To be precise, this other non core regional languages can be heard when common community people are in groups at city restaurants, markets and at various attraction locations. So how people interact in day to day life, Like when calling for a taxi, at Shopping malls, Vegetable and Fruit markets etc ? 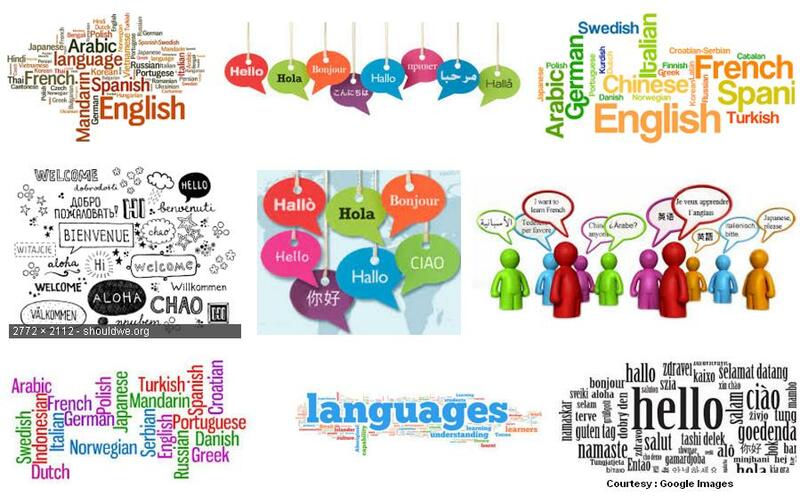 Local citizen are pro when it comes to interacting and using Marathi or Hindi or English language depending on the situation, location and requirements and person they interact with. Talking in English when in a mall seems more classy compared to Hindi, But that again depends on person to person and the way he thinks and how frequently he visits. Oh Yes, Using Marathi when in fish market, government offices might really help. You get a good deal as major fisher women speak same language and in offices it feels like local Mumbaikar. Also when at any interior village locations like Worli Fishing Village, Vasai Virar, Chembur area etc., Not many villagers prefer English or any other language, They know and speak either Marathi or Hindi. Simple, Speak English if you don’t know Hindi or Marathi. If you don’t know all 3 then it might be little tough for you. Since last 15 years i have seen a major shift upwards when it comes to very poor people also helping their child with basic education. These kids and street side vendors do understand and speak little bit of simple English which is a positive sign for foreigner interaction and breaking language barrier. To help you further here are 3 important posts which details about the money / currency, Common Hindi language tips when talking to vendors and sellers in market to get your daily grocery and vegetable stuff and the well known slang of city. Indian currency is in ‘Rupees’ (INR) and my simple article about Mumbai Currency Notes Coins etc will help you get little deeper and get life easy. If you know Hindi and want to understand that famous lingo of city, Read Mumbai Slangs (The Tapori Style) which was very often seen in any previous Bollywood movie based on city. You may thank me with your comments below (Or LOL send me gifts) if this Language translate tips page helps in your day to day life in city. If you are looking for people who speaks and understand various foreign (Non Indian) languages like French, Russian, Japanese, German etc. you might have to look for local Yellow pages or Google around to hunt for speaking classes and might find the tutors and others who can talk to you or help you out when in extreme need. Otherwise it will be very difficult to find any foreign speaking or understanding person on the way when you commute or go out at various locations. With that i hope i laid down my personal 35 years of city born and bought up experience in front of you and it helps you move around easily, talking interacting with Mumbaikars and enjoying the best time.